Video games are a source of much contention. Most of us have grown up playing video games, and can possibly feel none the worse for it. However, there have been numerous studies that show that video games have a very adverse effect on the human psyche, affecting the overall well being of a person. Video games are known to instill distorted values in the young mind, promoting violence and antisocial behavior. They are also a known cause of distraction for many a young child, who spend too much time playing video games instead of devoting their time to something more constructive. They are also known to cause social isolation since children prefer to spend time as their online avatars instead of going out and socializing with real people in the real world. 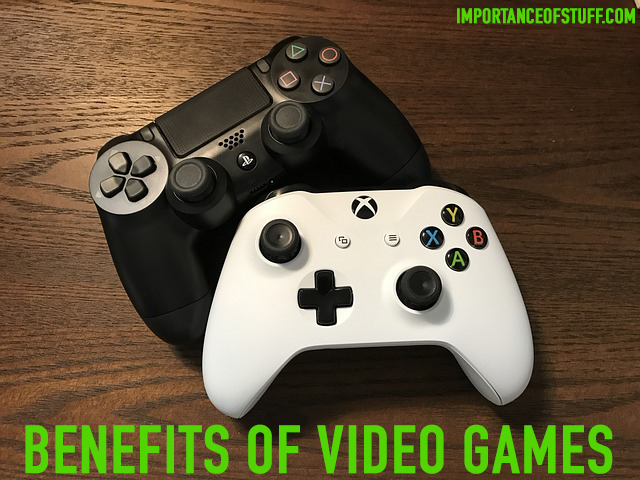 However, for all the bad rep that video games have been getting down the years, a good amount of research also shows that video games have a very beneficial effect on the young mind. In this essay, let us keep the negatives aside and take a look at the good that these games do us. To begin with, video games have been proven to help in improving the memory and concentration of the player. This is because while playing a video game, the player needs to concentrate very hard on very minute details for a very long time, which is important to win and achieve certain objectives in the game. This is especially true for action games. Speaking of action games, these not only improve memory and concentration, but also enhance the brain’s capacity to handle multiple tasks at the same time. While playing an action game, the player needs to simultaneously toggle between multiple keys and the joystick, all the while keeping a sharp lookout for the energy level, number of lives, supply of ammunition, collection of coins or gems, and so on. The player must be alert at all times for an impending or unexpected enemy attack, and be prepared for the same. As a result, the player needs to be prepared and stay alert, and react in time with accordance to the requirement of the moment and stage in the game. In order to efficiently play and win in a game, the player must read or listen to all the instructions which might be given only at the beginning of the game. It is also important for the player to know which control keys are there, so that they can efficiently and easily navigate the game. As a result, the memory of the player is much improved, as is the ability to follow detailed and often complex instructions. While playing video games, the player must be able to concentrate very strongly on the screen, and on ever minute detail. The moves with the mouse or the joystick are often very subtle, and everything needs to be done in a very short span of time. The ardent video game player, especially the one who plays action games, needs to face very high-pressure situations in the game. Nerves are probably always high string while one is playing the game, and it is important to respond to situations with a clear head and steady hand. Besides, action games do not just require mindless monitoring of the joystick and the keys, but also careful strategizing at a moment’s notice. This gives the payer the ability to handle high pressure situations with much composure, not to mention a very steady hand undeterred by nerves, which is extremely useful in professions like that of a surgeon. A video game player is usually very good at solving problems. They are usually the ones who have a very good grasp of mathematics and scientific concepts, and their logic is usually impeccable. The area that they will excel at is spatial reasoning. This is because while playing a video game, the player needs to incorporate and understand complex data that is mostly visual and audio. This data needs to be analyzed and processed in order to progress in the game. Plus, measuring and guessing distances is important in a video game, and the player has to make many split-second decisions. From the above arguments, we can tell that video games to benefit the player considerably. Of course, it is important to remember that choosing the right video game is also the key; for instance, avoid going for the violent video games as they really don’t have much of value. And it is also not a good idea to stay glued to the screen all day and not get some actual physical exercise. But a few hours of video gaming each week will do more good than bad.